Take Action — DOG TAG INC. Together, we’re #BakingaDifference in the lives of veterans and military families! Your donation enables us to empower service-disabled veterans, military spouses, and caregivers through our innovative five-month fellowship program. You are an important part of this recipe. Together, we're #BakingaDifference! 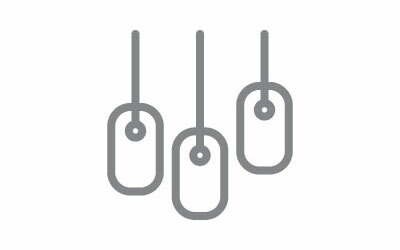 If you are interested in skills-based volunteering with Dog Tag Fellows or alumni, please fill out the following form. Our chandelier is composed of 3,500+ individual dog tags. This magnificent display is meant to honor all those servicemen and women who have fallen in the defense of our nation. Dog Tag Bakery makes it deliciously simple for you to empower the lives of our veterans and military families. Proceeds from bakery sales support our fellowship program. Support Dog Tag Bakery Inc. on Amazon Smile or Giving Assistant! Turn your online purchases into a force for good at no cost to you––and support our mission to empower veterans and military families. When you choose Dog Tag Bakery Catering, you are not only honoring our military community, you are also funding our program. In this way, together, we proudly serve those who have so proudly served our country. Dog Tag Inc. is a 501(c)3 non-profit that empowers service-disabled veterans, military spouses, and caregivers to discover personal and professional fulfillment in the civilian world. Dog Tag Bakery acts as an incubator for Dog Tag’s veteran education program, providing participants with the unique opportunity to apply classroom learnings about business in a real-life growing small business.